When I lived in London, one of my city-born friends told me he’d never seen a sheep in real life. That is a true story. I think he was about 23 at the time. I was so stunned into silence that I couldn’t ask him all the follow-up questions I now have (had he never been on a train? or visited a petting zoo?). 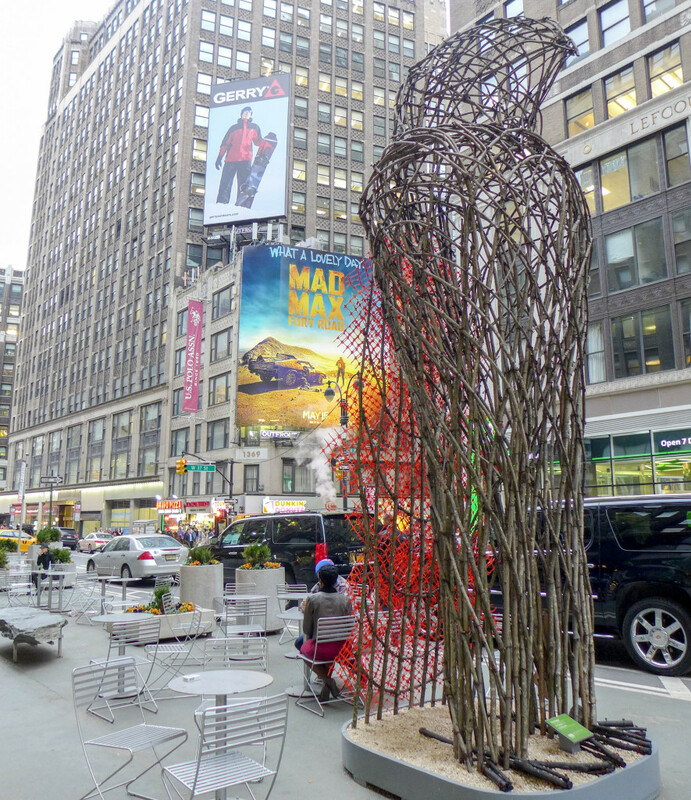 To me – someone who grew up in the countryside – here was the epitome of a city person. 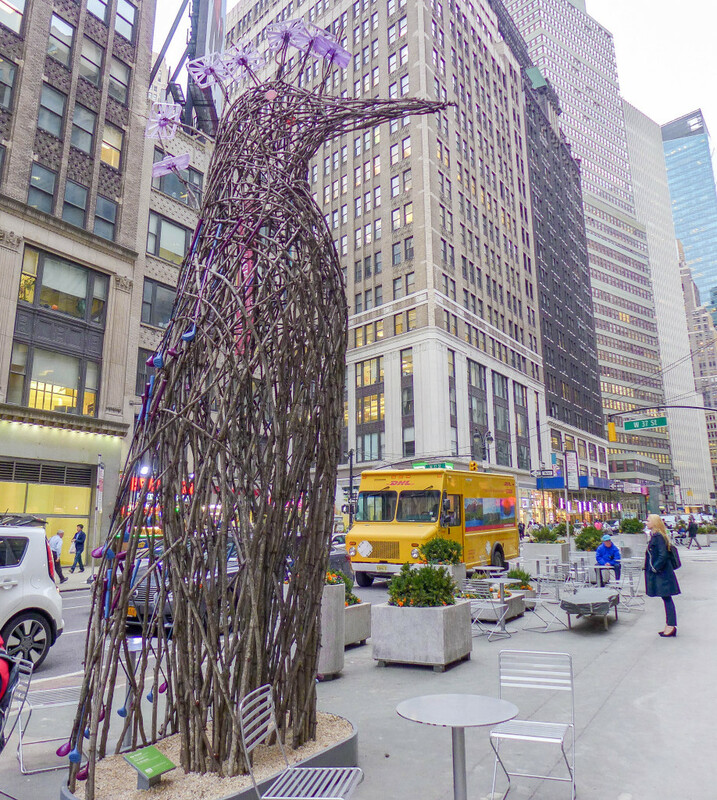 New York City might seem similarly far from wildlife (bar the rats), but for those of us venturing to Midtown, there’s a quick fix: a NYC version of bird-watching. 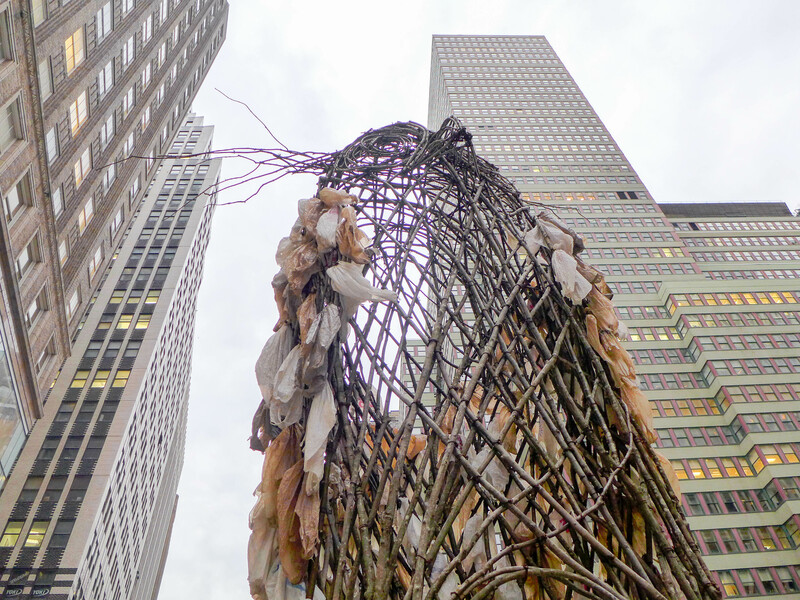 Five massive birds crafted from sticks, household items and trash have been perching along Broadway between 36th and 41st streets since January, and they’re only in the city for a couple more weeks. 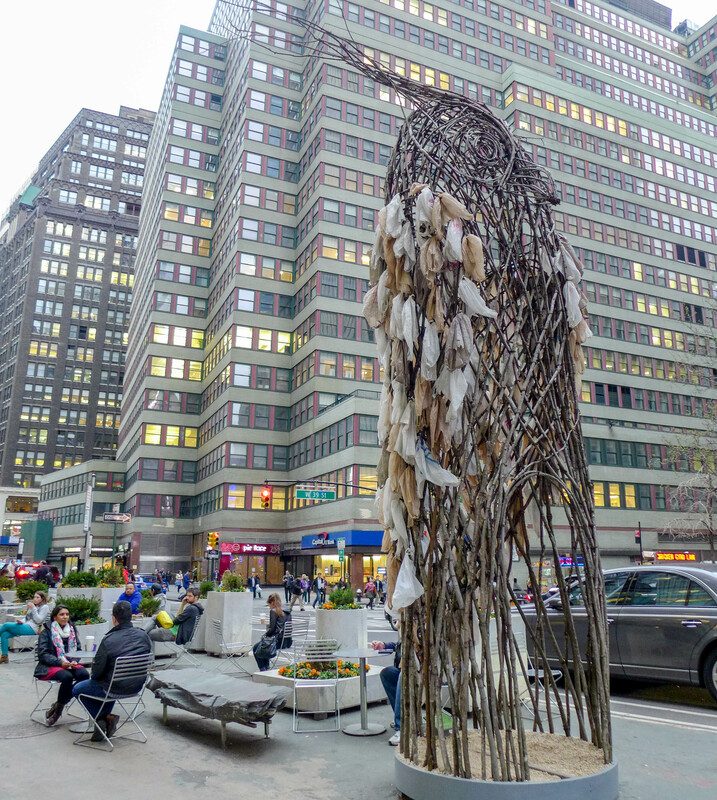 The artists, Donna Dodson and Andy Moerlein, want these ‘Avian Avatars’ to remind the public about the impact humans are having on the natural world. 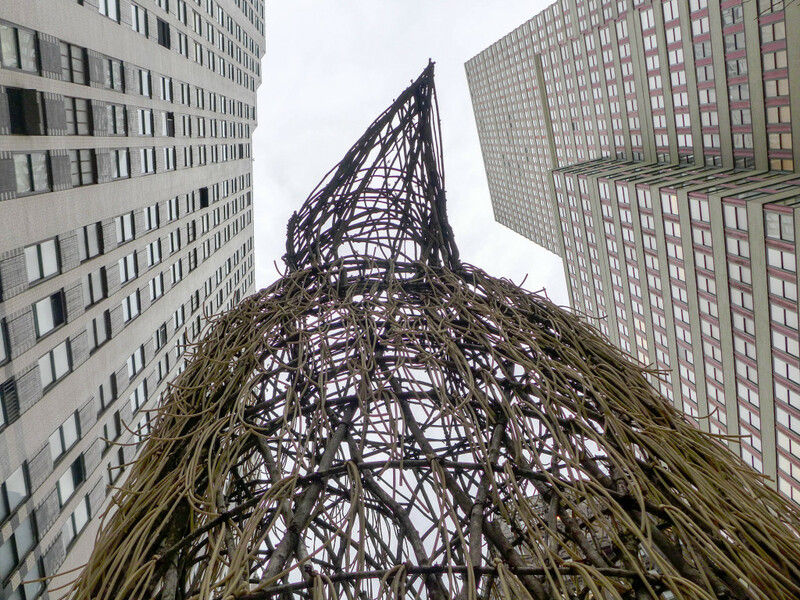 The birds were definitely keeping their watchful eyes on us humans below as we scuttled around one of the busiest parts of the city. Owl never stop appreciating these huge, free art installations across the city, particularly because they make everyone slow down for a second and take in their surroundings. 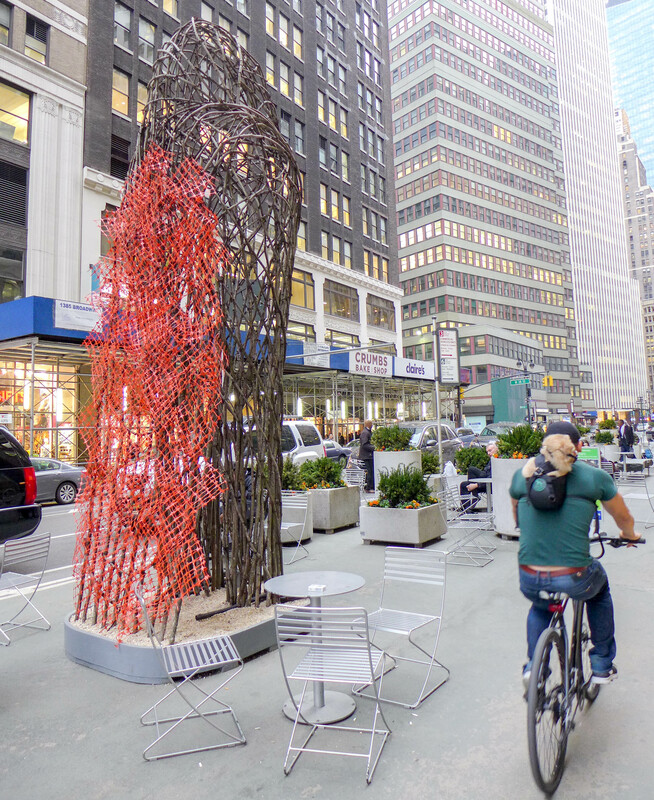 If you’re up in the area, swoop by Broadway to check them out before they leave. 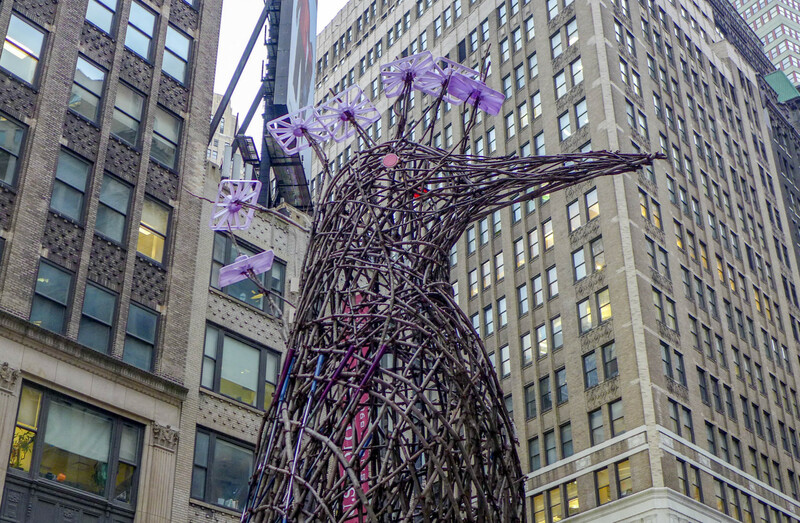 ‘Avian Avatars’ are on display on Broadway between 36th Street and 41st Street until the end of April. 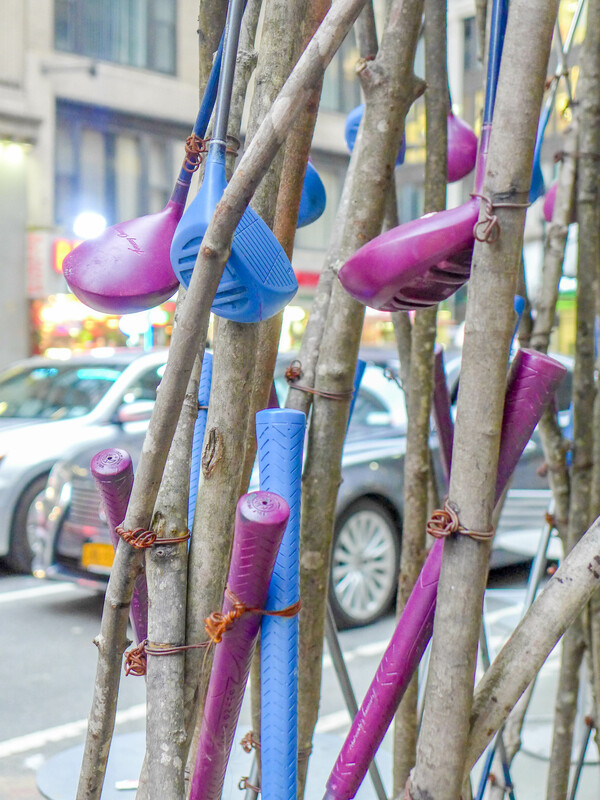 On Friday April 24, the artists will be speaking about the works at a special event which starts with a walk-through of each piece and finishes with tea and coffee at a nearby cafe. I know, that was my favorite part too! 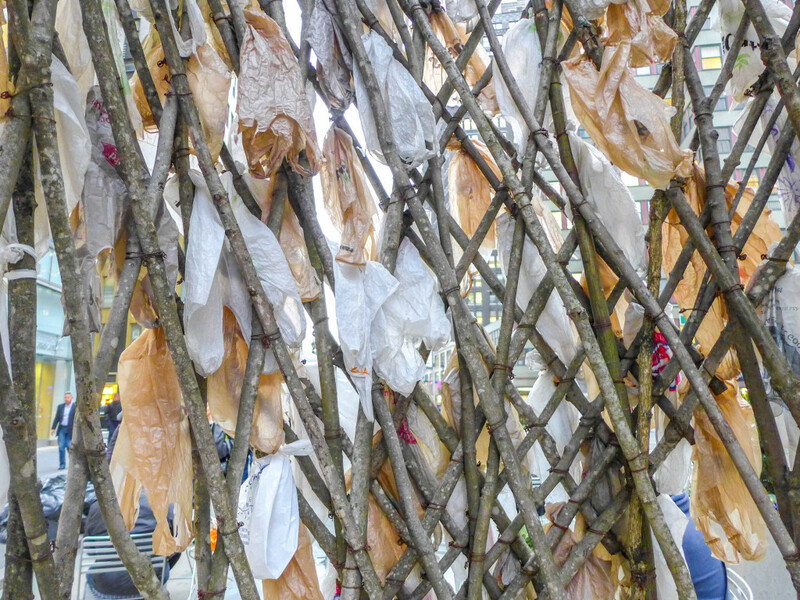 I also loved how they made the plastic bags look like feathers, very smart. Wow, this is really cool looking! I would love to see it in real life! These are great! One of my former neighbors was a huge fan of bird watching (the real ones!) in Central Park, and I’d always run into him in the hall with his binoculars and birdseed! ;-) I bet he’d adore this exhibit! Haha, cute 🙂 Yes, I’m actually keen to check out one of the city’s real bird-watching events, I’m sure I’d be pretty surprised by what’s here in the city. I didn’t notice that – but yes! !